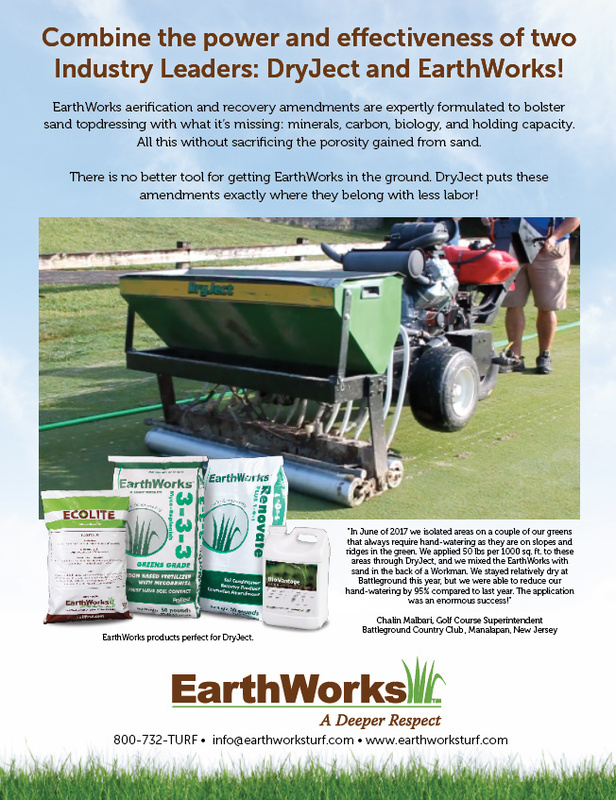 EarthWorks aerification and recovery amendments are expertly formulated to bolster sand topdressing with what it’s missing: minerals, carbon, biology, and holding capacity. All this without sacrificing the porosity gained from sand. There is no better tool for getting EarthWorks in the ground. DryJect puts these amendments exactly where they belong with less labor!